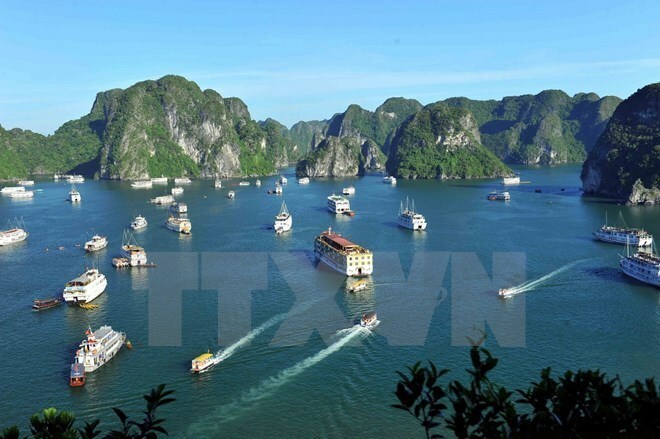 Quang Ninh (VNA) – The Ha Long-Quang Ninh tourism week is scheduled for late April and early May, entailing various activities held across the northeastern coastal province of Quang Ninh. There will be eight major events approved by local authorities, including an art performance to welcome the arrival of summer on April 27; cultural, musical, and sports events marking 64 years of the local liberation day (April 25, 1955-2019) and 44 years of South Liberation and National Reunification Day (April 30, 1975-2019); and an exhibition on the provincial UNESCO-recognised global heritage site Ha Long Bay from past to present. Localities in Quang Ninh will also host nine other activities in response to the week. They include the traditional Bach Dang festival, the launch of a tourism route between the local city of Mong Cai and China’s Fangchenggang city, and the Tuan Chau-Ha Long beach volleyball tournament. Quang Ninh is endowed with natural advantages for sea and island tourism. It is home to the Ha Long and Bai Tu Long Bays, the Ha Long Bay National Park and some islands, the best known of which are Co To and Van Don. In particular, Ha Long Bay has been twice recognised as a UNESCO World Natural Heritage site, pulling in visitors to Quang Ninh.